 If you suffer a repetitive trauma case, Capron & Avgerinos can help you. Some workplace injuries occur in a split second. Other injuries develop over months or years as a result of repetitive stress on an employee’s body. Repetitive motions, such as bending, lifting, stretching, kneeling against hard surfaces, or sustaining awkward positions, can cause repetitive trauma injuries. Workers that perform repeated tasks in professions such as auto repair, computer work, construction, manufacturing, warehousing, bricklaying, and trucking are particularly at risk. Years of experience have taught us how complex the process of pursuing a repetitive trauma case can be. Because it is more difficult to determine when repetitive motions cause an injury, you must seek medical advice as soon as possible. You should also consult with an attorney immediately to ensure that your case receives proper consideration. The laws are administered on a state-by-state basis, and Illinois and Iowa have different processes. Either way, we can help you. Call Capron & Avgerinos now at (800) 535-4542 if you need help with an repetitive injury case in Illinois or Iowa. We are ready to assist you over the phone or in person. We perform our cases on a contingent fee basis, which means we are not paid unless you recover compensation for your claim. Call Capron & Avgerinos at (800) 535-4542 – let us show how we can deliver results for you.